SACRAMENTO, Calif. (KGO) -- CHP Gold Run Area Officer Nathan Daniel Taylor was investigating a traffic collision in the area of westbound I-80 near Donner Summit when he was struck by a vehicle on Saturday. He succumbed to his injuries Sunday night. "It is an incredibly sad day for Officer Taylor's family, the CHP, and the State of California. The loss of an officer protecting our community is truly devastating! I would personally like to thank all of our partners, including the medical staff who fought so hard on behalf of Officer Taylor. We ask for the public's continued prayers, support, and trust as we go through this incredibly difficult time," said CHP Commissioner Joe Farrow. CHP officials say he was surrounded by family, friends and members of the CHP's Gold Run Area Office when he passed. 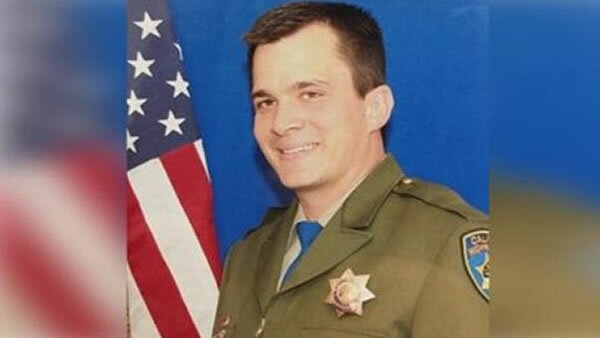 Officer Taylor served the people of the Bay Area for over three years, working at the CHP San Jose Area Office.